Due to TVB losing its long held monopoly over the free television market in the Hong Kong, many former and current TVB artists and production staff were recruited by rival stations. It was understood that top fadans, Ada Choi (蔡少芬) and Sheren Tang (鄧萃雯), who held guaranteed ratings for their series, were eager to leave TVB as well. TVB countered by hiring ATV “mature women” Alice Chan (陳煒) and Elaine Ng (吳綺莉), who will be acting in upcoming TVB series. Over the last two years, Sheren Tang has focused her career in mainland China. This month, she will return to TVB to film War and Beauty 2 <金枝慾孽 2>. Aside from resuming her “Yue Fei” role which rocketed her to great popularity, Sheren’s primary concern was to fulfill all filming obligations with TVB and extricate herself from the company. Sheren was eager to resume her free agent status, which would make filming with other television stations easier. The original War and Beauty was a phenomenal success. Although TVB hoped that the original cast can film the sequel, Charmaine Sheh (佘詩曼), Maggie Cheung (張可頤) and Bowie Lam (林保怡) had left TVB, while Gigi Lai (黎姿) got married and retired from acting. War and Beauty 2 will only feature Sheren Tang, Moses Chan (陳豪), and Ada Choi. It was understood that Sheren Tang did not possess strong interest to film War and Beauty 2, due to the absence of the original cast. 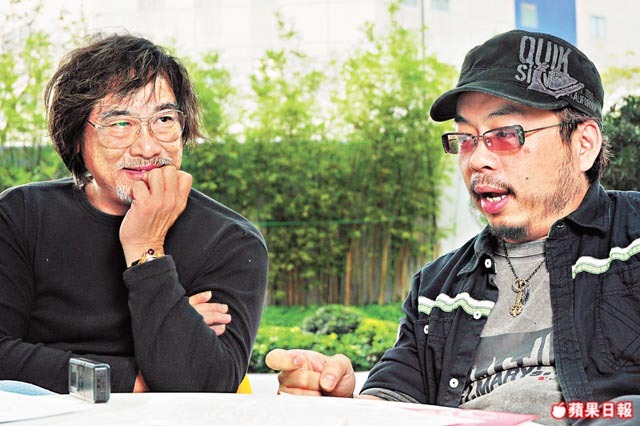 Producer Jonathan Chik (戚其義) and screentwriter, Zhou Xuming (周旭明) were interested in stretching their creativity and incorporating lesbian aspects in the sequel, which were at odds with Sheren’s Christian beliefs. Since Producer Chik promised Sheren that the plot will not dwell heavily on lesbian themes, Sheren agreed on the offer. Since giving birth to her daughter, Zoe, last year, Ada Choi prioritized family foremost. Even when she filmed in mainland, she will bring Zoe with her. Before accepting a new project, Ada will make certain that she will get enough sleep and rest during the filming process. Filming for TVB meant working 18 hours per day, which would prohibit Ada from taking care of Zoe and getting adequate rest. Allegedly, Ada Choi possessed the same inclination as Sheren Tang: to complete filming commitments with TVB and leave the company within the year! Jayne: I am not surprised by this news. If Sheren were eager to film for TVB, she would have picked a project already. With high-profile producers such as Jonathan Chik rumored to go work at CTI, naturally Mr. Chik will bring his own roster of artists he prefers working with. 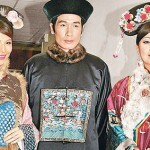 Will Moses Chan be the next to leave? How many more years left in Moses’ contract? It is a shame for TVB to lose Sheren Tang and Ada Choi, both of them are super artistes with excellent acting. I am also not shocked by this news at all since TVB is going downhill and still milks as much out of its artists as it can. At the same time, all of these rival stations are arising as well… Can TVB survive?? Plus, so many artists are leaving TVB not just for China but for these new stations that promise better treatment, better pay, benefits,etc… Who would want to stay with TVB anymore?? It might be a good thing for TVB. With the current producers, scriptwriters and artists leaving, TVB will be forced to use/promote new people. We might get some fresh ideas and fresh people to act. For Moses and Kenny, it depends on how attached they are to Producer Chik. Very hard to tell. Moses might also stay back out of gratitude to Catherine and Virginia. I want Myolie to leave too. She’s well known in mainland now and will flourish there with Hunan TV’s help. Look at Kevin who’s becoming one of HK’s most popular artiste in mainland. I think Kevin will move to mainland once his contract with TVB ends, he’s already filming more mainland series than TVB series. @Kidd: Agree with you. TVB should bring some fresh air to their series. To make them use new ppl, the old ones have to go away. TVB is coming back to the 1999-2000 period. If TVB did not place all the focus on their new top 5 siusangs and fadans, it would not create that kind of atmosphere for all the veteran artistes to leave TVB. They had only one or two dramas to do per year. Why should they stay? TVB deserves it. Maybe the reason they have only one or two dramas is because they wanted it this way? A lot of these established artist sign ‘one year n series’ contract with TVB so that they can do other projects outside. According to this, then LF must be a veteran. Best of my wishes to the ladies! They are one of my top fav actress! I hope they find a new home that they will be happy with! ……. same with me. Sheren Tang is my most favourite actress with excellent acting. Soon there will be no more great actresses in TVB! TVB open your eyes! Stop mistreating the veteran and only focus to promote the weaker big 5 fadans and siu sungs like Moses! Even Moses might leave soon to follow Chik Kei Yi! Give the younger actors a chance. Seriously, as a fan of Sheren now, I have to admit that she did not know how to act when she was young. Her performance as Chow Chi-Yeuk was bad. She only got that charm when she’s in her 40s. Charmaine Sheh used to be called flower vase but now her acting receives alot of compliments. Everyone has their starting point and I see the youngters do improve. Linda Chung is a good example, she’s improved a lot in comparison with her first series, when she could not even move her face. Oh well, old saying, when you turn old, ppl will automatically give you credits and make what you did in the past sth “great, superb”. Totally agree. These veterans all get lead/major roles even earlier than the current promoted fadans and siu sangs. Will they become who they are now, if TVB didn’t promote them and give them chances back then? I wonder if there were many people who complained TVB mistreating the veterans when these current veterans were young fadans and siusangs carrying lead roles like people were complaining now. Agree that TVB did promote those veteran artistes in the past, but unlike the ones now. We see those new siusangs and fadans in at least 3 to 4 drama (each with at least 20 episodes)series per year. Too much for the audience. Also acting has to be improved gradually. It needs life experience. No good to do dramas after dramas. The artistes need to watch other people’s acting in order to improve. The most broadcast series queen should be Tavia Yeung, she still consider young fa dan? I don’t think so. If Jonathan Chik does go to CTI to film more daring series, I wouldn’t think that Ada or Sheren would follow him there because of how religious they are. I think it’s more likely that they’ll just film more mainland series. Sheren Tang & Ada Choi are one of those good actresses. IMO, TVB needs to smarten up if they want to remain prominent in the business. Poor working hours and low pay is turning their employees away. Being monopoly and even dominated Asia market in 80s and 90s gave many rights to TVB to do its way of business. Suddenly stations from other markets have started to shine (China, Taiwan, Korea,…) and new stations. Haha TVB is sinking faster than Titanic!!!!!! Thats karma. Losing Sheren Tang is going to hurt 🙁 I don’t receive any other programming but TVB where I am… not liking that I won’t see many of my favourites soon. Can someone explain to me why they have to be contracted? The way Asian TV shows are filmed follow a much different structure than in the Western world. Its just the Hong Kong thing, and it should have not last this long. They been losing first line actors since the 80s. TeeVeeBee doesnt cherish veterans that long. There were time the first line artistes are second line ones. View it in possitive aspect, it is a very good change for Txb to have their movement and improvement. Also a perfect time to the new blood to raise their voice. It’s sad for them to leave TVB but we will still be able to see them onscreen with other tv station. It’s time for TVB to promote n give young, fresh n talented artist more chance. 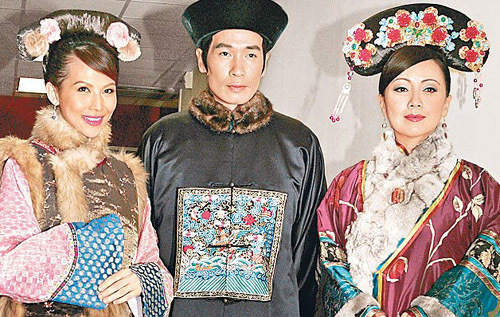 During the time of 2000s, TVB also faced the runaway of actors and new ppl arise. So maybe it is perfect time for them to seek for new blood. Yeah, I really like their pairing especially in AJCL. Looking forward to their last TVB pairing and hopefully not the last. Linda might jump the ship as well when she got the opportunity. If Linda jump the ship and disappear, will you cry? I blv her status now is simply not enough to jump ship and the treatment of Txb now is also good enough for her to stick wit them. If I cry will you lend me your shoulder, LOL. Seriously why would I cry anyway its for her own good. I blv she is good enough for CTI. However its true that TVB treats her well enough, although they investing way too much resources in sausage sister. Ok. I will lend you with £20 an hour. Oh well for CIT but the matter is how much they will pay her and can she maintain the first leading in their series. They are having Txb’s old ppl. I guess Linda is smarter than that. If Linda goes away and get frozen, I vet you will bash Ricky Wong. Lol. She will get a huge increase in salary and still be 1st lead. Furthermore by the time she joins, CTI will already have proven its sustainability. The issuess: CTIs ratings (i.e. maintain popularity) and whether their network is good enough since a big proportion of artist income stream comes from advertisement and shows. Ok, 20×36 is enough for me to buy a dress :). So you think when she will join? In few years’ time? If that, the chance is higher. Now, quite low. Good luck to Lina then, all she needs to is slip on as a guest star in a mainland series, and shine from there. Look at Hawick, no one though his status was good enough, look at him now. Linda is a good actress, I can see her growing! I want to write a script. (Don’t know if I could since I can’t read or write chinese) But TVB and ATV(although I hear they are dying) basically just need quality shows. They just keep pumping out boring overused stories. There has to be SOMETHING new. I mean I’m not unaware that most things have been done but there must be something new.